Cathy Azria designs tables for all occasions. 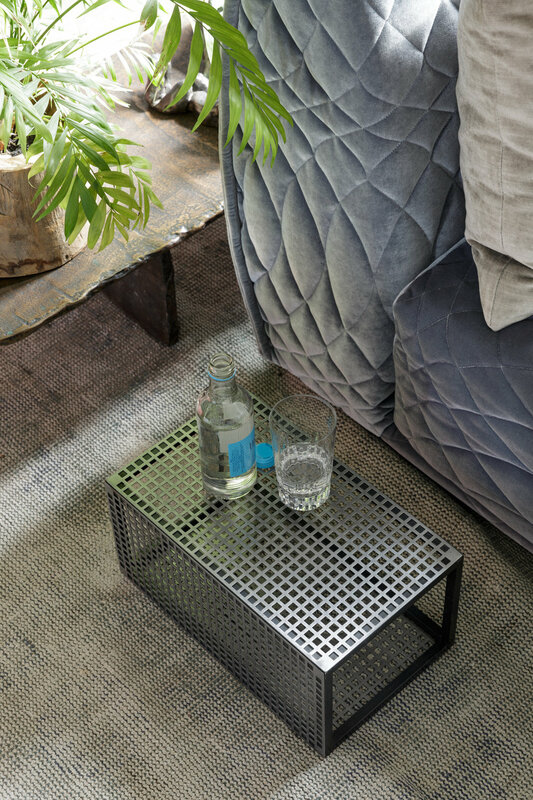 From low and side tables to dining and café tables. 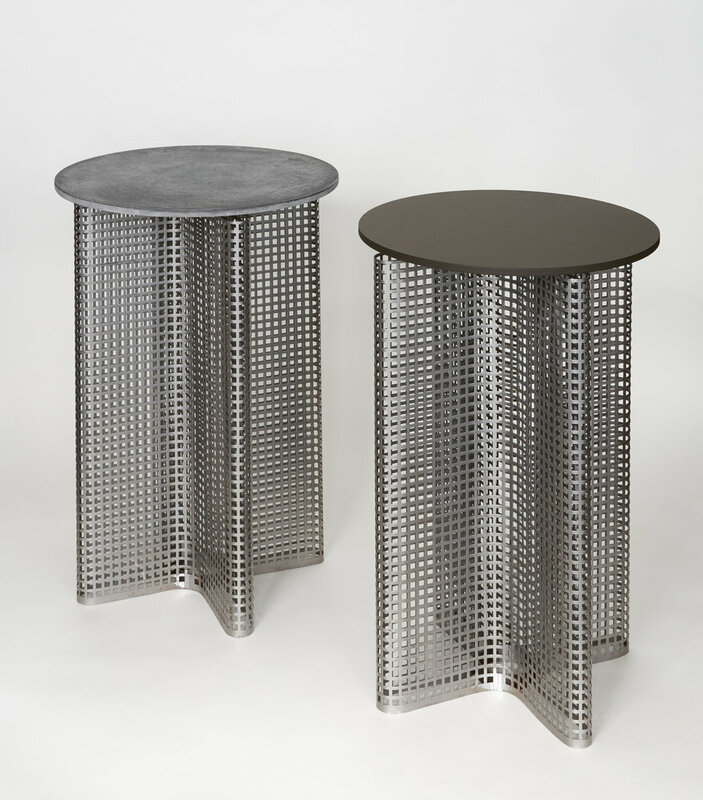 Cathy Azria's perforated steel tables are borne out of the popularity of her trolleys. 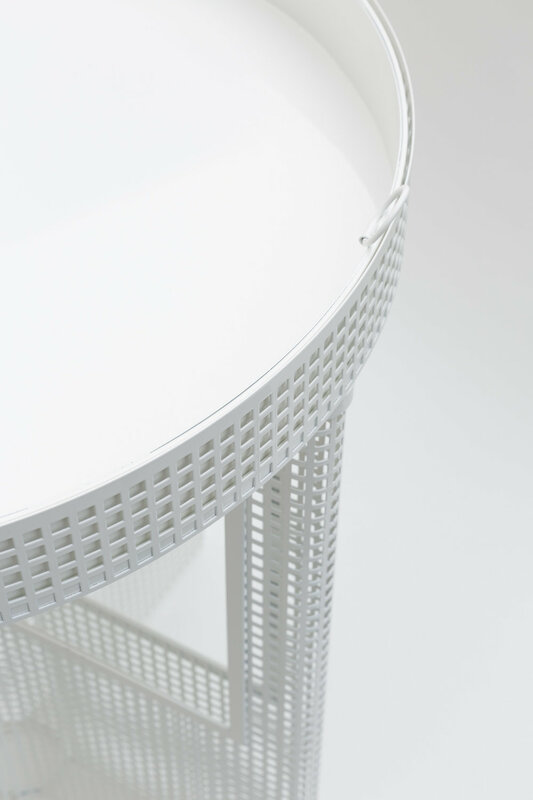 A classic contemporary design, the range of tables are a perfect addition to any interior. All these designs can be custom sized to accommodate a variety of rooms and projects. Where powered coated steel is used Cathy offers the choice of RAL colours. 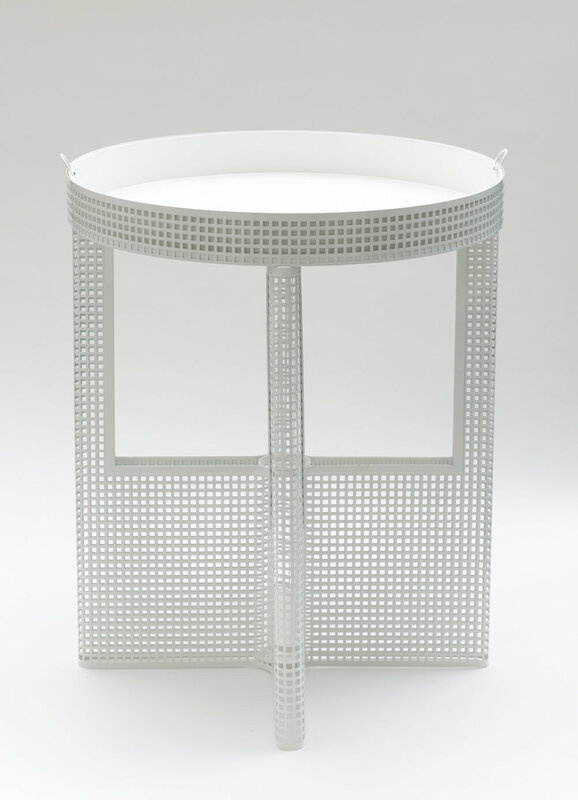 Inspired by the Austrian Secessionist movement, this table plays homage to Josef Hoffman. 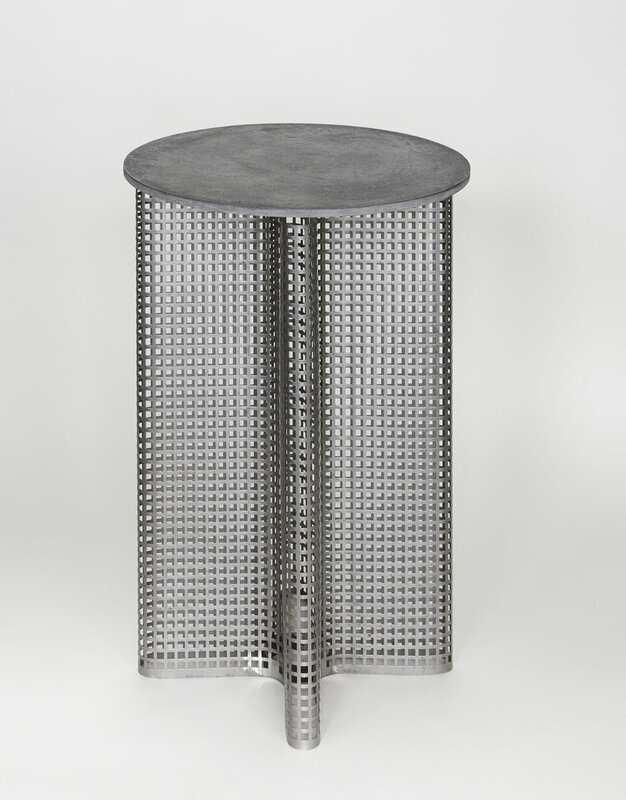 A useful side table made from powder coated perforated steel with a removable tray. Available with different tops including marble and plaster. Carambolo can also be made with a customised RAL colour.